Some contemporary geopolitical entities that wish to be recognised as de jure sovereign states have been hindered by a lack of diplomatic recognition. In the past, similar entities have existed, and there are now entities claiming independence, often with de facto control of their territory, with recognition ranging from almost all other recognised states to no states at all. There are two traditional doctrines that provide interpretations of when a de jure sovereign state should be recognised as a member of the international community. The "declarative" theory defines a state as a person in international law if it meets the following criteria: 1) a defined territory; 2) a permanent population; 3) a government and 4) a capacity to enter into relations with other states. According to declarative theory, an entity's statehood is independent of its recognition by other states. By contrast, the "constitutive" theory defines a state as a person of international law if it is recognised as such by another state that is already a member of the international community. Several entities reference either or both doctrines in order to legitimise their claims to statehood. There are, for example, entities which meet the declarative criteria (with de facto complete or partial control over their claimed territory, a government and a permanent population), but their statehood is not recognised by one or more other states. Non-recognition is often a result of conflicts with other countries that claim those entities as integral parts of their territory. In other cases, two or more partially recognised entities may claim the same territorial area, with each of them de facto in control of a portion of it (as have been the cases of the Republic of China and People's Republic of China, and North and South Korea). Entities that are only recognised by a minority of the world's states usually reference the declarative doctrine to legitimise their claims. In many situations, international non-recognition is influenced by the presence of a foreign military force in the territory of the presumptive, self-declaring independent entity, so to make problematic the description of the country de facto status. The international community can judge this military presence too intrusive, reducing the entity to a puppet state where effective sovereignty is retained by the foreign power. Historical cases in this sense can be seen in Japanese-led Manchukuo or German-created Slovakia and Croatia before and during World War II. In 1996-case Loizidou vs. Turkey, the European Court of Human Rights judged Turkey for having exercised authority in the territory of Northern Cyprus. There are also entities which do not have control over any territory or do not unequivocally meet the declarative criteria for statehood but have been recognised to exist de jure as sovereign entities by at least one other state. Historically this has happened in the case of the Holy See (1870–1929), Estonia, Latvia and Lithuania (during Soviet annexation), among other cases. The recognition of the State of Palestine by over one hundred states is a contemporary example. See list of governments in exile for unrecognised governments without control over the territory claimed. be recognised as a state by at least one other state. Some states do not establish relations with new nations quickly and thus do not recognise them despite having no dispute and sometimes favorable relations. These are excluded from the list. Some countries fulfill the declarative criteria, are recognised by the large majority of other nations and are members of the United Nations, but are included in the list here because one or more other states do not recognise their statehood, due to territorial claims or other conflicts. Currently there are 193 United Nations (UN) member states. The Holy See holds observer status in the United Nations. Some states maintain informal (officially non-diplomatic) relations with states that do not officially recognise them. The Republic of China (Taiwan) is one such state, as it maintains unofficial relations with many other states through its Economic and Cultural Offices, which allow regular consular services. This allows the ROC to have economic relations even with states that do not formally recognise it. A total of 56 states, including Germany, Italy, the United States, and the United Kingdom, maintain some form of unofficial mission in the ROC. Kosovo, the Nagorno-Karabakh Republic, Turkish Republic of Northern Cyprus, Abkhazia, Transnistria, Sahrawi Republic, Somaliland, and Palestine also host informal diplomatic missions, and/or maintain special delegations or other informal missions abroad. In the U.S., such offices by unrecognized entities are required to be registered as foreign lobbyist organizations under the Foreign Agent Registration Act (FARA) and act as regular lobbyists. Sovereign Military Order of Malta is a non-state sovereign entity and is not included as it claims neither statehood nor any territory. It has established full diplomatic relations with 104 sovereign states as a sovereign subject of international law  and participates in the United Nations as an observer entity, but is not recognised as a subject of international law by at least one state: France. SMOM maintains only official, but no diplomatic relations with France and five other states: Germany, Belgium, Switzerland, Luxembourg and Canada. Five more states maintain no relations with SMOM and do not recognise its passports: Netherlands, Finland, Sweden, Iceland, Greece. By definition, the list does not include uncontacted peoples who exercise varying degrees of de facto sovereignty over the areas under their control, but either live in societies that cannot be defined as states or whose status as such are currently too data deficient to be definitively known. Entities considered to be micronations are not included. [Note 2] Even though micronations generally claim to be sovereign and independent, it is often up to debate whether a micronation truly controls its claimed territory. [Note 3] Micronations are usually not considered of geopolitical relevance. [Note 3] For a complete list, see list of micronations. Those of the current civil wars and other situations with problem over government succession, regardless of temporary alignment with the inclusion criteria (by having control over permanently populated territory or by receiving recognition as state or legitimate government), where the conflict is still in its active phase, the situation is too rapidly changing and no relatively stable rump states have emerged yet. Those of the current irredentist movements and governments in exile that don't satisfy the inclusion criteria by simultaneously not having control over permanently populated territory and not been recognised as state or legitimate government by any other state. ^ a b Both the Republic of China and the People's Republic of China claim sovereignty over the whole of China, stating China is de jure a single sovereign entity encompassing both the area currently controlled by the PRC and the area currently controlled by the ROC. The position of individual states on this matter varies. Several states fully accept that the PRC's position that there is only one China and that the PRC is the sole legitimate representative of China. Other states merely acknowledge this position, while only recognising the PRC as a state. Some states only recognise the ROC as a state, but have expressed an interest in recognition and relations with both the ROC and the PRC. ^ Micronations are not included even if they are recognised by another micronation, such as the "BjornSocialist Republic" that claims sovereignty over six square metres of Swedish territory, and is recognised by Ladonia, another micronation which claims one square kilometer of Swedish territory. ^ a b It is debatatable whether micronations have sovereign control over their claimed territories, that are of minuscule size, or the state from which the micronation claims to have seceded simply doesn't deem such declaration (and other acts of the micronation) important enough to react in any way and considers the micronation to be a combination of unofficial private announcements of individuals and a private property, where the individuals remain its (of the state that the micronation claims to have seceded from) citizens and the property remains part of its territory and both remain subject to its laws. ^ "Non-member State". Un.org. http://www.un.org/members/nonmembers.shtml. Retrieved 2010-06-25. ^ "Germany - Countries A to Z". Auswaertiges-amt.de. http://www.auswaertiges-amt.de/diplo/en/Laenderinformationen/LaenderReiseinformationenA-Z.jsp. Retrieved 2010-06-25. ^ "Ambasciate Consolati e Uffici di promozione". Esteri.it. http://www.esteri.it/MAE/Templates/SediTemplate.aspx?NRMODE=Published&NRNODEGUID=%7b6C0DE2BB-8FE9-4C72-954B-CEB68F413EA9%7d&NRORIGINALURL=%2fMAE%2fIT%2fMinistero%2fServizi%2fItaliani%2fRappresentanze%2f&NRCACHEHINT=Guest. Retrieved 2011-04-29. ^ "Find an Embassy". Fco.gov.uk. 2008-03-14. http://www.fco.gov.uk/en/travel-and-living-abroad/find-an-embassy/?l=T. Retrieved 2010-06-25. ^ "Foreign Missions in Kosovo". Government of Kosovo, Ministry of Foreign Affairs. http://www.mfa-ks.net/?page=2,50. Retrieved 2010-11-04. ^ "Permanent Representations". Nagorno-Karabakh Republic, Ministry of Foreign Affairs. http://www.nkr.am/en/permanent-representations/104/. Retrieved 2010-11-04. ^ "Representative Offices Abroad". Turkish Republic of Northern Cyprus, Public Information Office. http://www.trncpio.org/trncpio/en/index.asp?sayfa=cms&dmid=0&cmsid=170&ssid=256489879. Retrieved 2010-11-04. ^ a b "Embassies & Representatives of Abkhazia". Government of Abkhazia, Ministry of Foreign Affairs. http://www.mfaabkhazia.net/en/policy#Ambassadors. Retrieved 2010-11-04. ^ "Contacts and addresses of the Somaliland Representative Offices around the world". Government of Somaliland. http://www.somalilandgov.com/contacts.htm. Retrieved 2010-11-04. ^ "Embassies, Missions, General and Special Delegations of Palestine abroad". WebGaza.net. http://www.webgaza.net/resources/Embassies_of_Palestine.htm. Retrieved 2010-11-04. ^ (Russian) Transnistria wants to join Russia (translated title), September 2008. ^ (Russian) Moldova, September 2008. ^ a b "In detail: The foreign policy of Pridnestrovie". Pridnestrovie.net. http://pridnestrovie.net/foreignpolicy_full.html. Retrieved 2010-06-25. ^ "Abkhazia: Ten Years On". BBC 2. 2001. http://video.acasa.ro/view_video/1cbc0583298a23831612/transnistria-europe-s-black-hole-2-4.html. Retrieved 2008-06-16. ^ "Regions and territories: Abkhazia". BBC news. 8 February 2011. http://news.bbc.co.uk/2/hi/europe/3261059.stm. Retrieved 31 March 2011. ^ Government of Tuvalu (20 September 2011). "On the establishment of diplomatic relations between Republic of Abkhazia and Tuvalu". Ministry of Foreign Affairs. http://www.mfaabkhazia.net/en/node/1082. Retrieved 2011-09-24. ^ Government of Vanuatu (17 June 2011). "Vanuatu’s recognition to the Republic of Abkhazia". http://www.governmentofvanuatu.gov.vu/index.php?option=com_content&view=article&id=95&Itemid=65. Retrieved 2011-09-24. ^ "Vanuatu annuls recognition of Abkhazia - report". Radio New Zealand International. 19 June 2011. http://www.rnzi.com/pages/news.php?op=read&id=61283. Retrieved 15 October 2011. ^ Clogg, Rachel (2001). "Abkhazia: Ten Years On". Conciliation Resources. http://www.c-r.org/resources/occasional-papers/abkhazia-ten-years-on.php. Retrieved 2008-02-26. ^ a b "Venezuela's Chavez draws closer to Moscow". Reuters. 2009-09-10. http://www.reuters.com/article/worldNews/idUSTRE5895PF20090910. Retrieved 2009-10-20. ^ John Pike. "Georgia mocks Nauru's recognition of Abkhazia". Globalsecurity.org. http://www.globalsecurity.org/military/library/news/2009/12/mil-091215-rianovosti11.htm. Retrieved 2010-06-25. ^ "Kosovo MPs proclaim independence". BBC News. 2008-02-17. http://news.bbc.co.uk/1/hi/world/europe/7249034.stm. Retrieved 2008-02-28. ^ "Kosovo" (PDF). http://www.unmikonline.org/press/reports/N9917289.pdf. Retrieved 2010-06-25. ^ "Security Council resolution 220 (1966) on Cyprus". Un.int. http://www.un.int/cyprus/scr541.htm. Retrieved 2010-06-25. ^ Hadar, Leon (2005-11-16). "In Praise of 'Virtual States'". AntiWar. http://antiwar.com/hadar/?articleid=8042. Retrieved 2008-02-28. ^ a b Staff writers (20 February 2008). "Palestinians 'may declare state'". BBC News (British Broadcasting Corporation). http://news.bbc.co.uk/2/hi/7254434.stm. Retrieved 2011-01-22. :"Saeb Erekat, disagreed arguing that the Palestine Liberation Organisation had already declared independence in 1988. "Now we need real independence, not a declaration. We need real independence by ending the occupation. We are not Kosovo. We are under Israeli occupation and for independence we need to acquire independence". ^ a b Israel allows the PNA to execute some functions in the Palestinian territories, depending on special area classification. 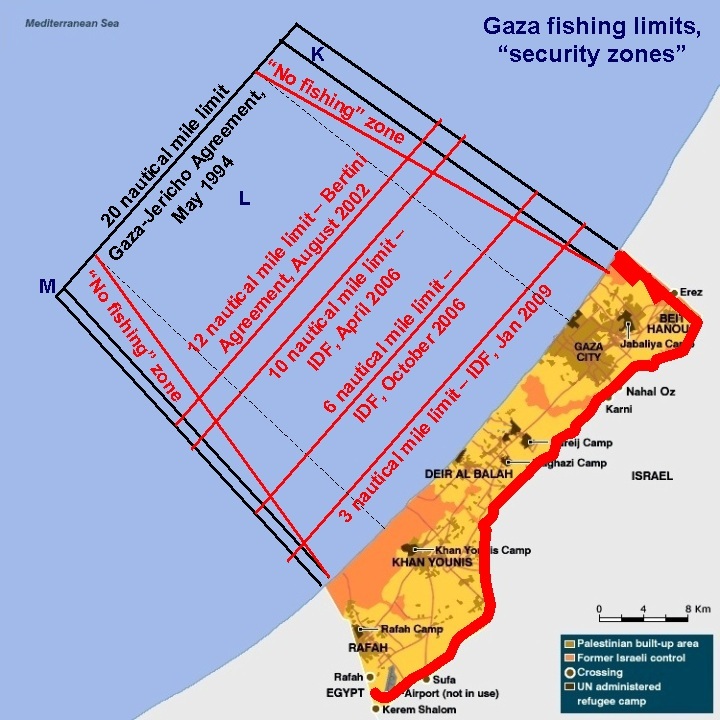 Israel maintains minimal interference (retaining control of borders: air, sea beyond internal waters, land) in the Gaza strip and maximum in "Area C". See also Israeli-occupied territories. ^ "UN General Assembly Resolution 3237". Thejerusalemfund.org. http://www.thejerusalemfund.org/www.thejerusalemfund.org/carryover/documents/resolution3237.html. Retrieved 2010-12-05. ^ Bannoura, Saed (28 August 2011). "124 Out Of 193 Countries Recognize Palestinian Independence". IMEMC News (International Middle East Media Center). http://www.imemc.org/article/61902. Retrieved 2011-08-28. ^ Shelley, Toby (1988). "Spotlight on Morocco". West Africa (London: West Africa Publishing Company Ltd) (3712–3723: December 5–31): 2282. "...the SADR was one of the first countries to recognise the state of Palestine." ^ Official website of the Palestinian National Authority. The PNA has publicly acknowledged recognition from 94 states, including the former Yugoslavia. ^ "South African Representative Office to the Palestinian National Authority". Sarep.org. http://www.sarep.org/. Retrieved 2010-06-25. ^ "Embassy of the State of Palestine to the Republic of Uzbekistan, Central Asia and Azerbaijan". Palestineuzbek.com. http://palestineuzbek.com/english.php?action=4. Retrieved 2010-06-25. ^ "Embassies of Palestine". Webgaza.net. http://www.webgaza.net/resources/Embassies_of_Palestine.htm. Retrieved 2010-06-25. ^ "Embassy of the State of Palestine in Bratislava". Palestine.sk. http://www.palestine.sk/about.html. Retrieved 2010-06-25. ^ "Here the states which recognize the SADR. It is a non official list, with dates of recognition and cancelation:". ARSO. http://www.arso.org/03-2.htm. Retrieved 2011-02-07. ^ "About Western Sahara". Australia Western Sahara Association. November 2006. http://awsa.org.au/?page_id=4. Retrieved 2010-01-04. ^ Sahrawi Arab Democratic Republic (1976-02-27). "Sahrawi Arab Democratic Republic". Western Sahara Online. http://www.wsahara.net/sadr.html. Retrieved 2008-02-28. ^ Stojanovic, Srdjan (2003-09-23). "OCHA Situation Report". Center for International Disaster Information. http://iys.cidi.org/humanitarian/hsr/03b/ixl95.html. Retrieved 2008-02-28. ^ "Constitution of the People's Republic of China". International Human Rights Treaties and Documents Database. http://www.hkhrm.org.hk/english/law/const01.html. Retrieved 2008-02-28. ^ CIA World Factbook (2008-02-28). "Cyprus". Central Intelligence Agency. https://www.cia.gov/library/publications/the-world-factbook/geos/cy.html. Retrieved 2008-02-28. ^ "Cyprus exists without Turkey's recognition: president". XINHUA. 2005-10-01. http://news.xinhuanet.com/english/2005-10/01/content_3570894.htm. Retrieved 2008-03-07. ^ Government of Israel (1948-05-14). "Declaration of Israel's Independence 1948". Yale University. http://www.yale.edu/lawweb/avalon/mideast/israel.htm. Retrieved 2008-02-28. ^ United States Congress (5 June 2008). "H. RES. 1249". http://www.gpo.gov/fdsys/pkg/BILLS-110hres1249ih/pdf/BILLS-110hres1249ih.pdf. ^ "'Reply' Online Book Chapter 1". Mythsandfacts.org. http://www.mythsandfacts.org/ReplyOnlineEdition/chapter-1.html. Retrieved 2010-06-25. ^ "Khartoum Resolution". Council on Foreign Relations. http://www.cfr.org/publication/14841/khartoum_resolution.html?breadcrumb=%2Fpublication%2Fpublication_list%3Ftype%3Dessential_document%26page%3D69. ^ Government of Israel. "Israel's Diplomatic Missions Abroad: Status of relations". Ministry of Foreign Affairs. http://www.mfa.gov.il/mfa/about%20the%20ministry/diplomatic%20missions/Israel-s%20Diplomatic%20Missions%20Abroad#note. Retrieved 2011-04-04. ^ a b "Treaty on Basic Relations between Japan and the Republic of Korea". http://www.ioc.u-tokyo.ac.jp/~worldjpn/documents/texts/docs/19650622.T1E.html. Retrieved 2008-10-27. ^ "Declaration of Independence". TIME. 1966-08-19. http://www.time.com/time/magazine/article/0,9171,836219,00.html. Retrieved 2008-02-29. ^ Scofield, David (2005-01-04). "Seoul's double-talk on reunification". Asia Times. http://www.atimes.com/atimes/Korea/GA04Dg01.html. Retrieved 2008-02-29. ^ US Library of Congress (2000-10-07). "World War II and Korea". Country Studies. http://countrystudies.us/south-korea/8.htm. Retrieved 2008-02-28. ^ Sterngold, James (1994-09-03). "China, Backing North Korea, Quits Armistice Commission". The New York Times. http://query.nytimes.com/gst/fullpage.html?res=9F01EFD71538F930A3575AC0A962958260. Retrieved 2008-02-29. ^ Global Legal Information Network "Reconocese a la Soberana Orden Militar de Malta como Entidad Internacional Independiente"
^ Knol Orden de Malta Soberana Orden Militar de San Juan de Jerusalén-Sovereign Military Order of Malta - S.M.O.M. ^ The French Republic does not recognise the SMOM as a subject of international law; see a statement by the spokesman of the French Ministry of Foreign Affairs, Feb 7, 1997.